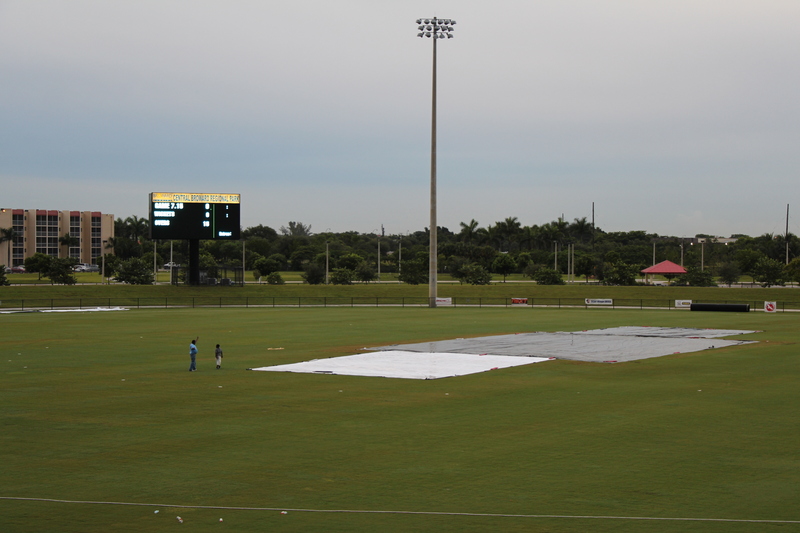 The first six Caribbean Premier League matches to be played on US soil will include two games under floodlights at the Central Broward Regional Park in Lauderhill, Florida as well as two weekend doubleheaders to round out the league phase of the tournament, from July 28 to 31. The CPL organizers announced plans last month to stage six matches in Florida for the upcoming season and sources had told ESPNcricinfo that the games would be held at some point in the final two weeks of July. An advanced copy of the schedule obtained by ESPNcricinfo shows that Guyana Amazon Warriors and Barbados Tridents will feature in the first match in Florida to be played under lights, on Thursday, July 28. The following day, St Kitts and Nevis Patriots will take on Trinbago Red Steel under lights again. Night matches at the stadium are a major change after the ICC-certified facility initially failed to get clearance in 2010 to have T20Is between New Zealand and Sri Lanka played under floodlights due to a design flaw. The floodlights at the stadium were originally installed too close to the field, creating excessive shadows which were deemed a safety hazard for night time cricket. As a result, both those matches as well as the T20I series in 2012 between New Zealand and West Indies were scheduled for the day time. However, a series of upgrades and facility renovations were carried out at the stadium in 2013, including a relaying of the turf square. ESPNcricinfo also understands that the stadium floodlight towers were dug up and repositioned to reduce the shadow effect in order to allow for night time cricket to be played at the professional level. Saturday, July 30, will feature a daytime doubleheader starting at 12 noon local time between St Lucia Zouks and Jamaica Tallawahs, followed by Tridents against Amazon Warriors. The final day of the group stage on Sunday, July 31 will have another slate starting at noon, beginning with Red Steel and Patriots, followed by Tallawahs against Zouks. As for local connections in the rosters, Tridents keeper-batsman Steven Taylor grew up in Miramar, just 18 miles south of the stadium in Lauderhill and turns out regularly to play club cricket in the Florida Southeast Cricket League (FSCL). Recent Tallawahs draftee Timroy Allen is also a Florida resident, though he is based a few hundred miles further north in Orlando.